Performing art activities allow young people to express their creative side while gaining valuable life skills and confidence in themselves. Wonder how tap dancers do the paradiddle? Express yourself creatively with a 4-H performing arts project! 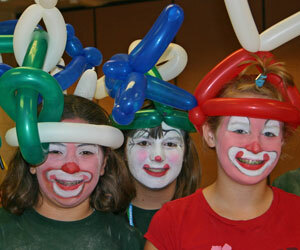 4-H performing arts includes clowning, dance, drama and music. Chinese New Year is February 19. Use these fun, hands-on activities to learn about another culture and have a discussion about global citizenship! Speaking with confidence: go ahead and smile! Smiling is a life skill that can be connected to confidence and success. Learn to speak with confidence by exploring the five Ss successful lawyers master – smiling is one of them!